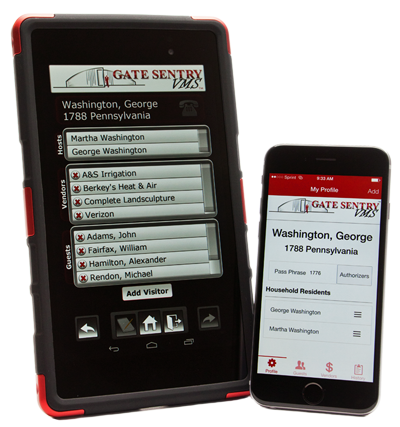 Gate Sentry is the fastest and best way to collect visitors’ contact information, store photo identification, and sign legal documents on a mobile tablet at registration or security checkpoint. 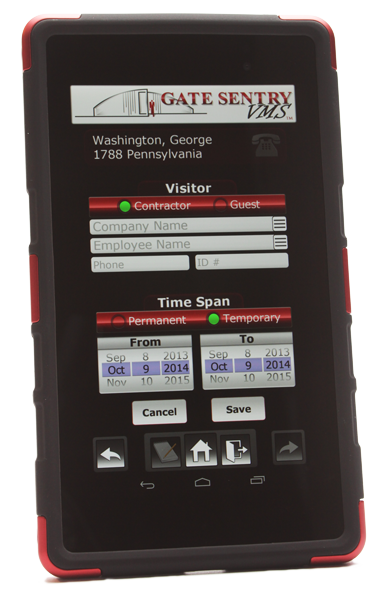 Quickly and easily capture visitor information without paper logs and reports. Visitors can be pre-registered for specific dates and times. Immediately alert employees when visitors arrive with instant text and emails saving time and unproductive phone calls. Need to research visitor information or documentation? Do it fast with Gate Sentry Total Recall Reporting™. Data captured by visitor, company, date, time of arrival and departure. Any legal documents required for entrance can be made available on Gate Sentry for signature on the tablet and efficient record-keeping necessary for compliance and security. Let visitors immediately know your company embraces smart technology in every aspect of its operations. A Business Process Outsourcer with clients in the financial services and health-care industry had specific compliance concerns regarding employee access and guests visiting their customer contact center. To gain access to the center, visitors registered their name, date and time of visit on a paper log with Security. In addition, visitors presented government issued identification which Security photocopied and attached to another release form requiring visitor signature. Security issued a temporary visitor access badge and made phone calls to have visitor escorted to their meeting place within the call center. The process was time-consuming, costly and inefficient. Records of visitors were difficult to locate. During peak hiring times, job candidates would often wait 30 minutes to simply complete required paperwork for access to recruiters. The clutter from paper and backlog at company entrance did not leave the first-impression desired with clients, prospects and job candidates. Gate Sentry proved to be the perfect solution. The visitor management system was deployed in two weeks. The reception/security desk is now paper-free. Every visitor ID is captured within the system showing day and time of arrival and departure for instant reporting. Compliance Officer is thrilled with data capture and disclosure information being available on-line for spot audits. Job candidates and clients are given a glimpse of the high-tech culture that exists beyond Security immediately and wait times have literally disappeared.